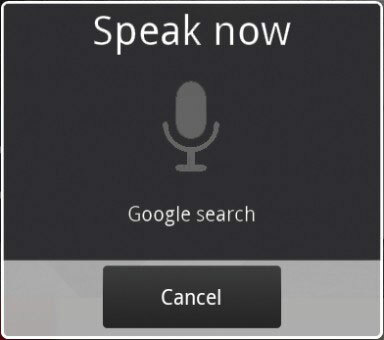 To begin voice input, touch the Microphone icon. A voice input screen appears. When you see the text Speak Now, speak directly into the phone. While you speak, the Microphone icon flashes green. After you stop talking, the phone digests what you said. You see your voice input appear as a wave-like pattern on the screen. Eventually, the text you spoke — or a close approximation — appears on the screen. It’s magical . . . and sometimes comical. The first time you try voice input, you might see a description displayed. If a description appears, touch the OK button to continue. The better your diction, the better the result. Try to speak in short sentences. You have to speak any punctuation in your text. For example, you need to say, “I’m sorry comma Belinda period” to have the phone produce the text I’m sorry, Belinda. Common punctuation marks you can dictate include the comma, period, exclamation point, question mark, and colon.